Take the monotony out of tax preparation. Transform scanned Consolidated Brokerage Statements into an Excel® spreadsheet – no more keying in tens, hundreds, or thousands of individual trade details. Unprecedented accuracy with GruntWorx’s patented Data validation services. GruntWorx Trades allows you to quickly and easily manipulate trade data, perform calculations within the spreadsheet, and import the data into your tax compliance software. Eliminates manual data entry of trade details to save hours—even days. No more keying in tens, hundreds, or thousands of individual trade details. Quickly calculate short-term and long-term capital gains and losses. GruntWorx Trades produces a standard Microsoft Excel spreadsheet for fast and easy manipulation of data—including the ability to perform calculations within the spreadsheet. Easily import trade details into the leading tax preparation software packages. Choose from three spreadsheet formatting options for seamless import into your tax preparation software. Tax preparation software packages that support import of trade details include: Drake Software, GoSystem Tax RS, Lacerte®, UltraTax CS™, and Prosystem fx® Tax. Instantly identify any trade missing a cost basis. Trades listed without a cost basis are flagged for review, so you can immediately identify missing data. 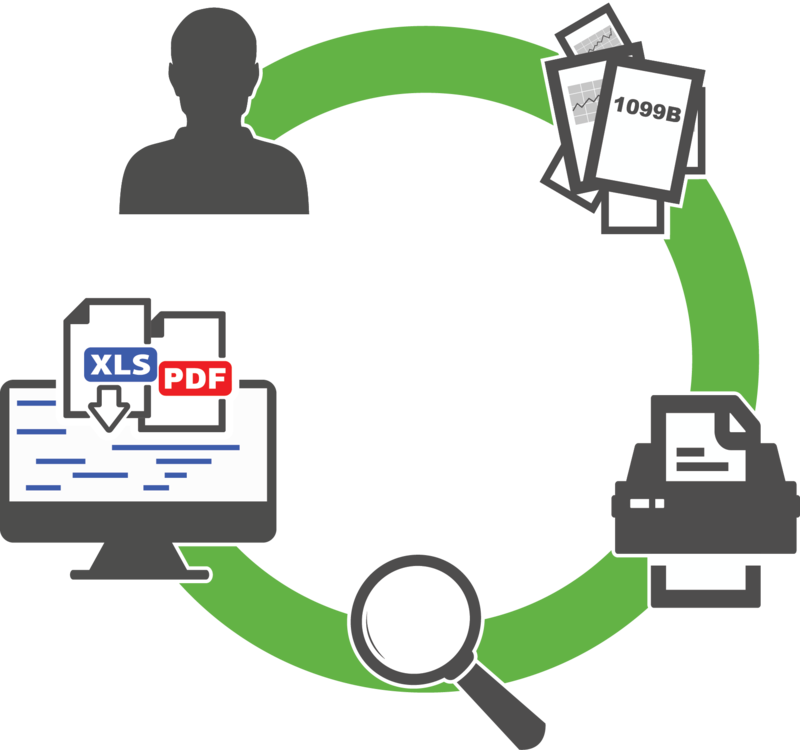 Patent-pending biometric technology accurately identifies all variations of Consolidated Brokerage Statements and extracts trade details from the scanned documents. Software-as-a-Service interface and standard spreadsheet output require no set-up or training to get started.